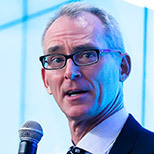 March 23, 2017 — Ensia recently caught up with Bob Inglis — a Republican who served six terms in the U.S. Congress representing South Carolina — to get his thoughts on the prospects for climate leadership under President Trump and the Republican-controlled Congress. 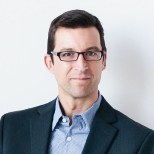 Initially a climate change doubter himself, Inglis has said in the past that science and his Christian faith led him to take action on the issue and ultimately call for a carbon tax. In 2015, he launched republicEn.org as the home for an “ecoRight” movement of conservatives for climate action. For his work on climate change Inglis received the 2015 John F. Kennedy Profile in Courage Award. When it comes to climate change and President Trump, what’s your assessment? Well, I’m assuming that [he] really did not mean it when he said that climate change is a Chinese hoax and conspiracy. I think we have a shot at convincing him through [Secretary of State] Rex Tillerson, that a revenue-neutral, border-adjustable carbon tax is the right policy. As recently as October 19th of last year, Tillerson, as CEO of Exxon Mobile, was advocating for a revenue-neutral, border-adjustable carbon tax. Hopefully, he’ll bring that to the cabinet room and convince the President that that’s the right approach. What’s your take on the President’s appointments to other agencies such as Environmental Protection Agency and the Department of Energy? I think Rick Perry is finding out the Department of Energy doesn’t do what he thought they did. They do a great deal with nuclear stockpiles and the fuel cycle. And I don’t know if his climate disputation will cause as much trouble with the Department of Energy, but Scott Pruitt’s role at EPA is more worrisome because first we need EPA to not just be aware of the science, but celebrating and advancing the science of climate change. And so it’s a real concern to have someone at the helm there that seems to want to dispute the science of climate change. We’ve spoken in the past about your calls for a carbon tax. And recently former Secretary of State James Baker and others also spoke out in favor of something similar. How likely is it, though, that the new administration or Congress will consider any new taxes? Representatives from the group ConservAmerica wrote a piece in Ensia recently calling for the elimination of taxes on zero-emissions — or near-zero emissions — energy sources such as wind, solar and nuclear. What’s your take on this approach? Well, a tax subsidy is the same thing as an outright subsidy. We [republicEn.org] think we should eliminate all the subsidies. We really do mean all the subsidies. That means no more Solyndras, no more production tax credit for wind, no more electric car credits, no more investment tax credits for solar. No more under market leases on public lands for extraction minerals. And no more of the biggest subsidy of them all, which is allowing people to belch and burn in the trash dump of the sky without paying the damages they’re causing. And so we think that it’s more consistently conservative to talk about simply leveling the playing field, rather than propping up safer fuels through either direct subsidies or through tax subsidies. I think we have a better chance of reaching actual conservatives through an actual conservative approach, which is no subsidies and a level playing field. What’s your goal with republicEn.org? What we’re trying to do is convince conservatives that there’s a free enterprise solution to climate change. That it actually involves a smaller government not a bigger government. That if we would price carbon dioxide through an upstream application of the carbon tax, pair that with a reduction in existing taxes or with a rebate, then we could actually improve economic performance and solve the climate problem. Is part of your goal to help bridge the partisan divide surrounding climate change? Yeah. That’s our goal — to bring people together. First we build the confidence of the right because conservatives have a very undeserved inferiority complex when it comes to climate change. They just think they’re no good. And so when the topic comes up, because they think they’re no good, they think they don’t have a solution. They shrink in science denial. Because the other team seems like they’ve got solutions in mind and plans ready to implement and we don’t have those. So what we live to do at republicEn.org is show them that, no, you’ve got the answer. It’s simply leveling the playing field. So our hope is to build the confidence of conservatives so that they can engage. And once that happens, I think that we will see that progressives and conservatives can actually agree that this is the way to deal with climate change. It is to simply bring accountability for emissions. What are the chances we’ll see action in the next four years? I think we have some chance of getting there in the next four years — Rex Tillerson may just surprise us. To clarify, ConservAmerica's proposal is not a subsidy. A subsidy is when the government takes someone's money and gives it to someone else. Proponents of the carbon tax often say, "We want to tax things we want less of, like pollution; and lower taxes on things we want more of, like income." That's what our proposal does: it lowers/removes taxes from income generated from the sale of zero emission energy.